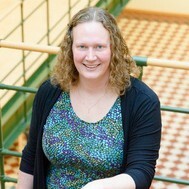 The multi-professional network Aphasia Access (US) is a true inspiration! Their mission is to grow ”a network of healthcare, business, and community leaders to advance lifelong communication access for people with aphasia” based on the holistic Life Participation Approach to Aphasia (LPAA). They ”believe a world is possible where all people with aphasia participate fully in life”. 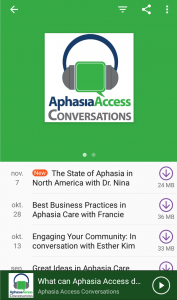 Aphasia Access produces a podcast (available at www.aphasiaaccess.org/podcasts and where ever you find your podcasts) where professionals and renowned researchers such as Aura Kagan, Nina Simmons-Mackie, Audrey Holland and Barbara Shadden (who all influenced my work significantly!) share their stories, insights and aha moments. What a great way to learn more about their experiences!